In fact, research from the Chartered Institute of Personnel and Development in the United Kingdom claims that one in three employees will experience mental health issues while at work. As a human resources professional, this unpredictability makes employee well-being feel completely out of your control. Thus, focusing on mental health factors is arguably one of the most challenging aspects of your job. 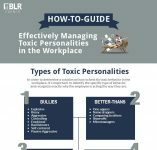 New research has found, however, that you can focus on what’s putting your team at risk for mental disorders and put preventive strategies in place to proactively maintain well-being in the workplace. 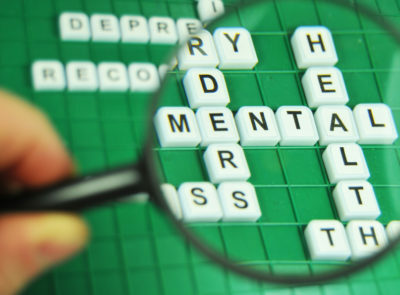 A recent study published in The Lancet: Psychiatry discovered job-related stress factors are independently affecting the risk of common midlife mental disorders. These findings put power in your hands. But before you can ensure employee well-being now and in the future, you need to know what within your company walls is putting them at an increased risk for mental health issues. Support from leaders isn’t a luxury—it’s a necessity. With 31% of employees wishing their manager communicated more frequently with them, according to Officevibe’s 2018 State of Employee Engagement poll, it’s a necessity many people aren’t being afforded. Unfortunately, the issue of lacking communication creates even deeper, more challenging issues. In fact, 37% of respondents say they don’t feel close with their manager, and 70% would like to spend more time with their manager. These unmet expectations create large disconnects, leaving employees without sufficient support from company leaders. Employees are then left feeling overwhelmed and misunderstood, which increases their stress levels. Tip: Create time for employees to bond with leadership. For example, host lunch-and-learns so all levels can meet and learn something new together in an informal, relaxed setting. Also, get leaders more engaged with your employees’ professional growth. Encourage them to sponsor top performers as mentors and guide these employees through their development. Employees experiencing high job strain have an increased risk of stress-related mental health issues. The more strain employees have, the higher their chances are of having stress-related issues. In fact, the previously mentioned The Lancet: Psychiatry study findings suggest that 14% of new cases of common mental disorders could have been prevented through elimination of high job strain. Focusing on employee well-being is critical no matter the role or field. Without attention to your employees’ levels of stress and strain, they may end up among the 60% who notice their job taking a toll on their personal lives, according to the Officevibe poll. Tip: Promote a “Find Your Balance” awareness campaign to teach employees how to identify their main sources of job strain, reduce these sources of strain, and find an ideal work/life balance. Throughout the campaign, encourage leaders to “leave loudly,” like PepsiCo’s CEO, Robbert Rietbroek. 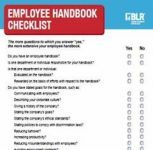 In an interview with News.com.au, Rietbroek explained why he and other company leaders ensure every employee knows when they leave. The workplace experience is directly tied to employee well-being. In naturally stressful work environments, employees won’t feel a strong sense of belonging and will increasingly hide their feelings. This leaves you without a clear understanding of what’s causing employee dissatisfaction, making it impossible to directly target stress. Even though HR pros continually fight to improve the employee experience, the issue of poor work environments has become an epidemic. According to the Officevibe poll, a staggering 57% of employees wouldn’t recommend their organization as a good place to work. What are your mission and values? Do your team members, especially leaders, exhibit these values? How would you rate your current workplace experience? After your assessment, convene with your staff to understand where they believe your culture is getting derailed. Then, assemble a culture committee to meet regularly and set new policies. Once new policies have been in place for at least a month, host a peer recognition program, encouraging all employees to praise those who strongly exhibit the company’s values. This fuels a positive camaraderie among the staff. Graham Shaw is the Director of Sales at LifeWorks, a company that delivers holistic and comprehensive well-being—physical, emotional, financial, professional, and mental—through meaningful and purposeful technology and services. Follow LifeWorks on LinkedIn, Twitter, and Facebook.